Visiting Japan in June or July? You may have a few days of rain due to tsuyu, the rainy season. 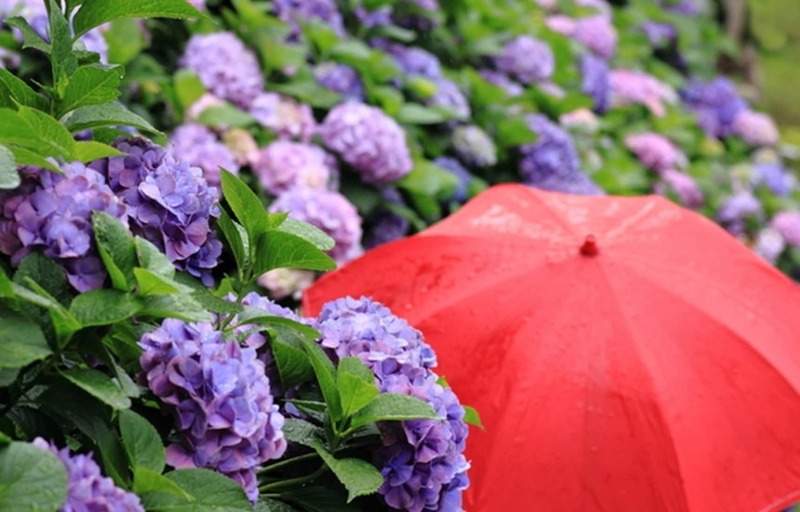 This doesn't mean you won't have a good time though, as the rain brings out the beautiful hydrangeas and lush greenery of the gardens. With less visitors, you'll also be able to enjoy shorter lines at popular sights and famous restaurants! 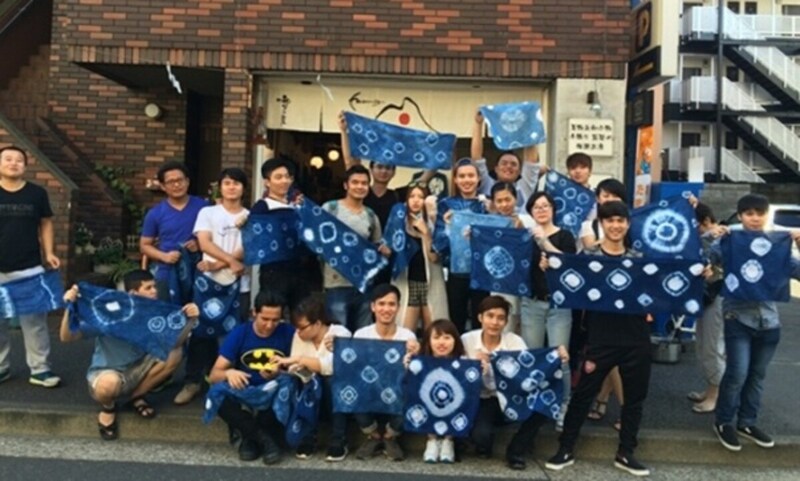 Just a short walk from the famous Sensoji Temple, you can hide from the rain and learn about the Japanese craft of indigo dyeing. You can choose anything from a simple handkerchief to a full dress shirt to dye, making a pretty and functional souvenir of your time in Tokyo. Why spend your precious time in Tokyo at a regular café when you could play with fluffy rabbits in a bunny café? Book a spot in advance, and spend your day relaxing surrounded by adorable fuzz. You don't need to go outside to take pictures in a pretty yukata, the summer version of Japan's traditional kimono. The teachers will show you how to secure the cotton robe and create a pretty knot in the obi belt. Once you're done, take snapshots in the elegant shop. Experience Japan's nightlife in a welcoming sake bar. After a couple of cups, the wet weather will be forgotten! This hidden spot opens from 5 p.m. and you can stay until 11 p.m., so you can be warm, dry and contented all evening. Odaiba is a great place to spend a rainy day, as the various malls (including the over-the-top Venus Fort) provide shelter, lots of cool shopping opportunities and a huge selection of restaurants. Get a taste for Japan's famous horror movies at Daiba Kaikigakko, a creepy school-themed haunted house. Open to everyone from beginners to expert climbers, enjoy tackling one of Tokyo's best rock climbing walls, located right in central Shinjuku. This fun little tour requires a little more planning as it needs to be booked two days in advance, but it's a bargain at just ¥1,500! Taste foods from all over Japan and experience traveling across the nation in only 90 minutes—without having to brave the rain! Take a peek into the history and culture of Japan through various unique flavors, regional souvenirs, and hands-on activities.